The Galway Tent Blog: EPA's Fix Is In - DDDA's €450 Million Hole in Ground. EPA's Fix Is In - DDDA's €450 Million Hole in Ground. Continuing the tale of the alleged and possible €450 million fraud or simple honest mistakes at the Glass Bottle Site in Ringsend. The path is now clear to use NAMA to take €450 Million from taxpayers. The latest caper is the EPA Director's rubber stamp for the speculators at the Glass Bottle Site on the dump in Ringsend. These public employees also politically approved the toxic Poolbeg Incinerator, ignoring science (and their gagged scientist employees?) and claiming community health assessments are not their job. EPAs other fine work liberated chromium six into Cork Harbour. Arup is on the board of Dublin Developers Autocracy (DDDA). Arup worked with DDDA, Becbay and others to supposedly perform some sort of undocumented environmental cleanup at the toxic Ringsend site. Another €30 million of taxpayer cash was wasted on this absurdity (literally exporting the city dump to Germany without documentation). A former EPA scientist-employee apparently contests the cleanup and maintains the site is polluted (methane from the 40 year old dump). 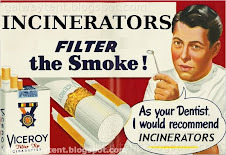 Before entering the cronyist Green-FF government The Green Party condemned the EPA's Directors. 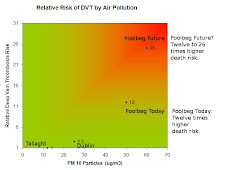 Now with a green as Environment Minister the greens are destroying the cause of environmentalism in Ireland and doing exactly nothing about the mighty fine pollution agency's directors. Mighty fine public servants, those EPA ex-incinerator industry Directors. Mighty fine icons of democracy and environmental protection, those green party apparatchiks. The Environmental Protection Agency (EPA), the statutory body set up to oversee European environmental law, has ruled that the company has properly cleaned up contaminants on the IGB site. In the jargon of the planners, Becbay will be able to surrender its licence at the IGB site. Public files at the EPA show the steps taken by Becbay and its contractor, Arup Consulting, to clean the site. Soils were shipped from the site to two decontamination facilities in Germany for disposal, the EPA files show. Older residents knew that parts of the IGB site were used as a main Dublin tip head for the city's waste. Dublin Corporation maps, say the developers, indicate most of the IGB site was reclaimed from Dublin Bay before 1965, with the southern part of the site reclaimed around 1966. Dublin city operated a landfill, dumping waste in a layer of up to six metres at Ringsend. For four decades up to its closure in 1978, methane-producing household waste was dumped on the tip that included part of the IGB site. In late July this year, the EPA received a submission from a member of the public, Michael Doak, who opposed the surrender of the licence to Becbay. It is rare for the EPA to receive any public comments but the submission was unusual for another reason too: Doak, though he had not worked on the IGB site, was a former EPA inspector. His claims that high levels of methane remained on the site were, however, dismissed. The ruling by the EPA board paves the way for Becbay to apply for planning permission to build on the site. But the continuing role of the taxpayer, through the DDDA, in one of the most expensive strips of development land in Ireland guarantees that the IGB site will remain the focus of considerable public scrutiny.